I was left alone to look after Harry for the week and the only thing my wife asked before going away was that I didn't forget to keep Harry's water bowl filled. 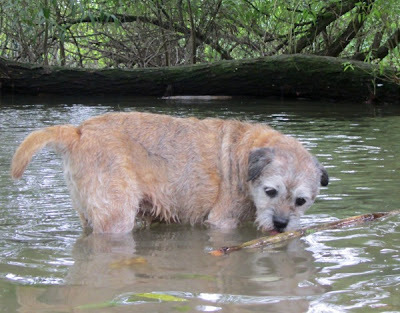 I took Harry out today and when we got to the little beach near Abingdon Weir, Harry went for a paddle and then just drank and drank. I have to confess that when I got home, I found that Harry's water bowl was bone dry. Tutt Tutt. Poor Harry! Have a great Tuesday.